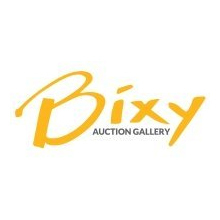 Before moving to America in 2010, the Founder and principal Curator of Bixy Auction Gallery attended two of the most prestigious Universities in Mainland China: Peking University and Tsinghua University. Majoring in Asian Archaeology and art appraisal, they studied under and were mentored by several very famous archaeological relics experts. Because of their love and passion for Chinese art after graduation, they went on to open 4 very successful unique Auction Galleries in China. During that time, they continued to discover more artwork and fell deeper in love with traveling all over Asia and Europe and procuring rare Chinese Antiques.